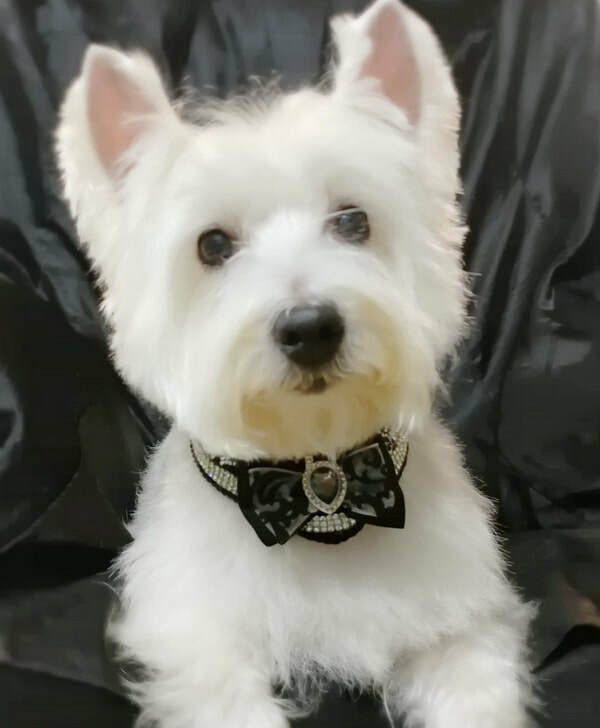 Amanda Bizri, Owner of Canine Coiffures is a Master Groomer with over 10 years experience. Amanda lives in Denver with her three dogs, Madie, Westie, Lola, Minature Schnauzer, and Devon, Standard Poodle. She owned A Cut Above in Mooresville from 2009 until 2015. 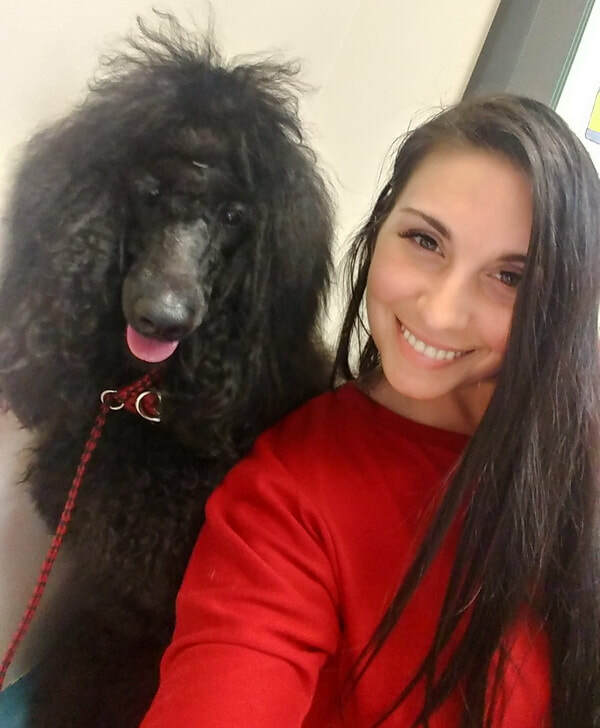 She has been with Canine Coiffures since 2015 and purchased the business in 2017 when the former owner, Denice Lyon, retired. She graduated from Sai Master Grooming School in Huntersville in 2008. 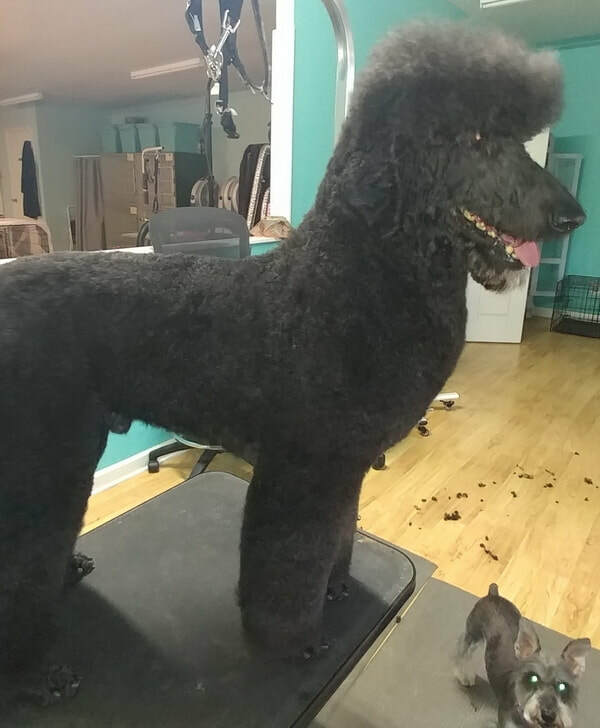 Amanda’s grooming abilities include all Pet grooms, numerous Poodle styles, Carding and Hand Striping. 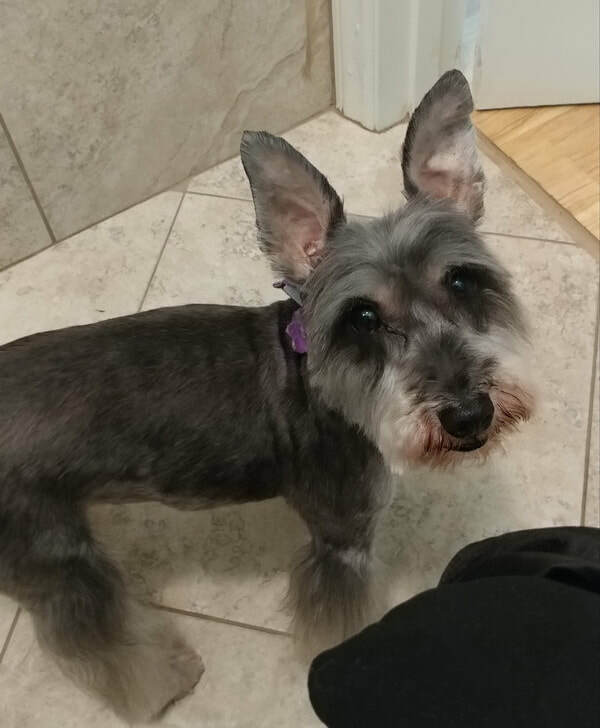 She is CPR certified and has attended numerous Advanced Grooming Classes to improve her skills. Amanda grooms all breeds and all sizes. Specialty includes pets with Special Needs and Behavior Issues. She utilizes Pet Massage to help calm pets to enable a safe grooming experience for the Pet. She also accepts Saturday appointments. Amanda is a Member off The National Dog Grooming Association. She has attended Numerous Continuing Education courses since her initial training. She is certified in Pet CPR ands earned the AKC Salon Safety Certification. She worked extensively with the Lake Norman Humane Society as a Foster Parent and a volunteer groomer while working in Mooresville from 2011-2015. Amanda also was awarded the Academic Excellence Award in 2014 from the Atlanta Pet Fair Grooming Expo. She continues to attend Courses to improve and update her Grooming Skills.